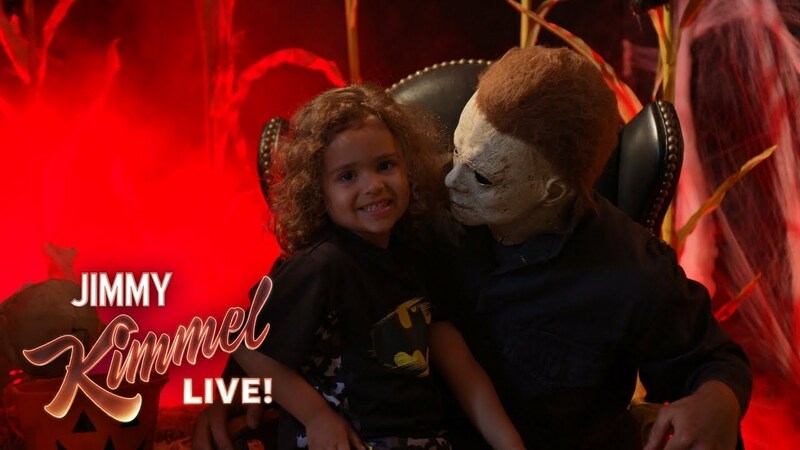 With Halloween slashing box office records and currently the number one movie in America, Michael Myers appeared on Jimmy Kimmel Live this week in a hilarious segment called Kids React to Michael Myers. You can watch the bit below. The new Halloween movie is in theaters now, expanding to IMAX for one week only starting today (Oct. 26).